Ryanair is officially eyeing Alitalia. The low cost airline confirmed Thursday that it is finalizing a binding offer for the bankrupt Italian carrier. The national carrier has been up for sale since May, when it went into administration. Bids will be accepted until October 2. Michael O'Leary, chief executive of the budget Irish carrier, told Reuters that he plans to buy new planes for Alitalia and keep the brand. He said he hoped to preserve the jobs of current staffers, but on new terms. 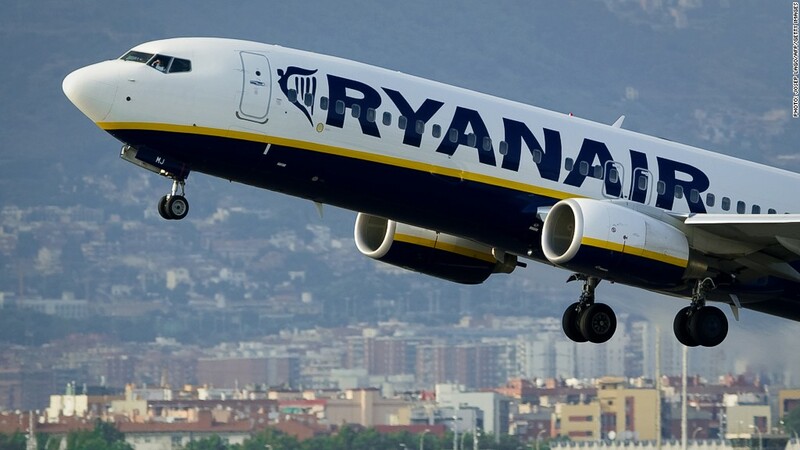 Ryanair (RYAAY) confirmed his comments to CNNMoney. Once a symbol of national power and prestige, European flag carriers have struggled for years to compete with budget rivals. Alitalia was thrown a major lifeline in 2008, when the state and a consortium formed by a number of Italian companies came to its rescue. But Etihad said in May that it was "not prepared to continue to invest." The cash-strapped Italian government has ruled out nationalizing the airline. Ryanair shares were 4% lower in afternoon trade. The company lost a labor law case at the European Court of Justice earlier on Thursday.